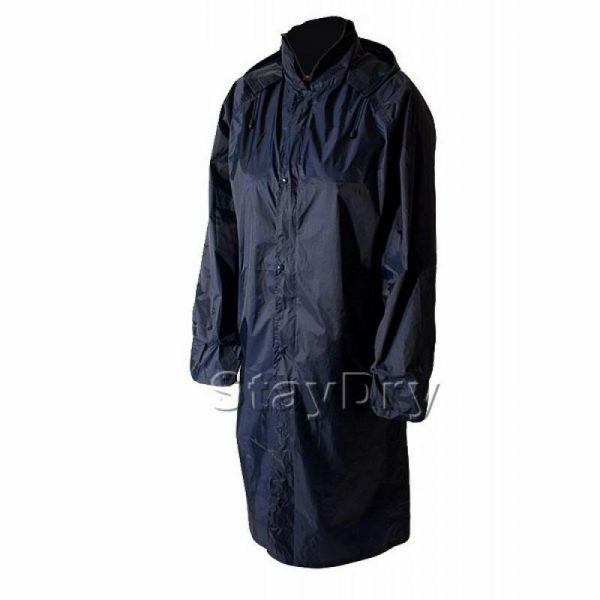 PU coated nylon waterproof raincoat with detachable drawstring hood. PU coated waterproof nylon raincoat with wallet. Elasticated cuff inside the sleeve. Max chest size 44″, length approx 48″. £8.99 + VAT Not including postage & packaging.